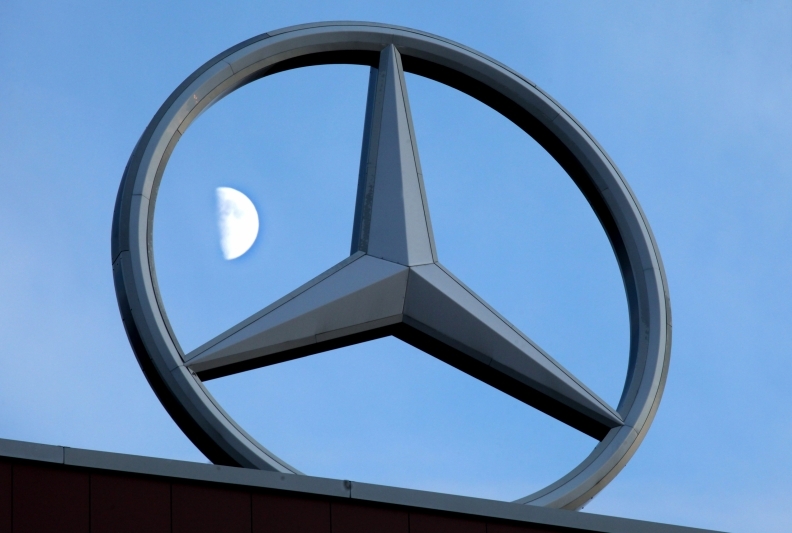 BERLIN/MILAN – Daimler AG may be better poised than Renault SA to recover from a sell off of European auto stocks, backed by strong cash reserves and resilient demand for Mercedes-Benz cars. High-end carmakers such as Mercedes, BMW AG and Volkswagen AG's Audi tend to weather downturns better than mass-market auto manufacturers like Renault and Fiat S.p.A., because wealthy consumers still have money to spend even when the economy slows, investors and analysts said. "German premium-auto manufacturers are by far the best bet," said Juergen Meyer, a fund manager with SEB Asset Management in Frankfurt. "BMW, Audi, Mercedes and Porsche are the most stable investment havens. I continue to be very relaxed" about the prospects for the largest luxury carmakers. Investors sold auto stocks as concern that a slowdown in the global economy heightened after Standard & Poor's downgraded the U.S.'s credit rating and the European Central Bank began buying Italian and Spanish government bonds. The Euro Stoxx Automobile and Parts Index lost 40 billion euros ($57 billion), or 21 percent, of its value this month in the 14-member index's worst run since November 2008. Fiat, the Italian carmaker that controls Chrysler Group, has led the sector's decline with a 29 percent drop, followed by Daimler's 26 percent fall. Automakers are closely tied to the economy because consumers tend to delay major purchases when they're worried about the future. For some investors, the declines have made the stocks attractive. "After the recent slump, we are buying VW and Daimler, which is actually our favorite stock in the sector because it has very good margins and a good penetration in emerging markets," said Patrizio Pazzaglia, head of financial investments at Bank Insinger de Beaufort NV in Rome. "We prefer German carmakers and are skeptical of the French ones. Fiat may be a good opportunity as the integration with Chrysler is faster than expected." Volkswagen, which is combining with Porsche SE and also owns Lamborghini and Bentley, is the most recommended European carmaker, with 85 percent of analysts rating the stock a "buy," according to Bloomberg data. Daimler is second with 71 percent, while 44 percent recommend Renault and 47 percent advise buying PSA Peugeot Citroen. Other European automotive companies are also in favor. BMW, Audi and Mercedes, the world's three largest makers of luxury vehicles, are all targeting record sales this year as growing wealth in China fuels deliveries and historically high profit margins. The strong earnings have been used to boost financial reserves. Daimler plans to maintain a "reasonable cushion" of cash in light of potential volatility in the global economy, CFO Bodo Uebber said in a March 14 interview. The manufacturer, which is also the world's largest truckmaker, had 11.5 billion euros in net liquidity at its industrial operations at the end of June. Renault's net automotive debt was 1.22 billion euros on June 30. "German carmakers' financial reserves are in better shape than those of French or Italian manufacturers," said Aleksej Wunrau, an analyst at BHF-Bank AG in Frankfurt. "That might give them an edge in a possible crisis scenario." Still, with much of the growth and profits of luxury-carmakers tied to China, they may be vulnerable to a global slowdown as the Asian country's economic expansion cools. "If there will be a double-dip recession, it's a sector to avoid, German carmakers included, because the emerging markets will also slow at that point," said Emanuele Oggioni, who oversees about 600 million euros at Saint George Capital Management in Lugano, Switzerland.